2010 F-Open Class Champion Derek Rodgers, a young shooter from Albuquerque, New Mexico, proved that youth and skill can triumph over age and experience. Though Derek had placed third in F-TR class at the 2009 Nationals, this was Derek’s very first year competing in Open Class at the Nationals, and his NRA Classification was “Sharpshooter”. Derek’s win was a great victory for an unheralded newcomer. On the last day of the competition, Derek put together three superb 1000-yard matches, out-shooting High Masters and past National Champions to secure the Open Class title. Derek finished with 1330-57X, five points ahead of runner-up Ken Dickerman (1325-57X). Ironically, Derek only decided to shoot in Open Class only because his favorite F-TR rifle is currently being upgraded by his gunsmith, and so the rifle wasn’t ready for the Nationals. (We suspect some F-Open competitors wish that gunsmith had finished Derek’s F-TR rifle a bit sooner). The Sierra Cup (at left) is presented each year to the U.S. F-Open Class National Champion. This year Derek Rodgers’ name will be placed on the trophy alongside other F-Open Champions including John Brewer (2004), Jeff Cochran (2005), Eric Bair (2006), Robert Bock (2007), and Charles Ballard (2008, 2009). 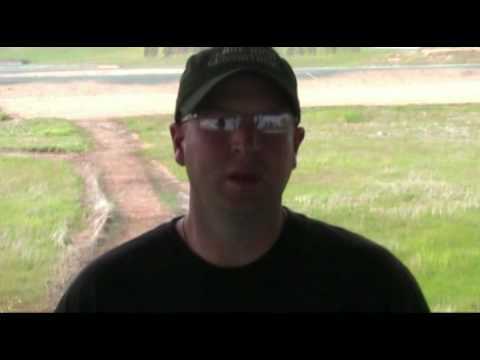 Share the post "Conversation with 2010 F-Open Champ, Derek Rodgers"
Looks like Derek was shooting a Barnard?